Fixed Mortgage Or Adjustable Rate Mortgage? Q: I read your column every week in the Los Angeles Times and noticed in a column that you said you have a 5/1 adjustable rate mortgage. I am a first time home buyer, and I am looking a home for about $435,000. I have about $50,000 in cash and $30,000 in a 401(k). Do you recommend going with a 30 year fixed or 5/1 ARM loan? I know that the payments of the 5/1 ARM is lower than the 30 year fixed during the first five years. Does the fact that interest rates may rise change your view of a 5/1 ARM? A: Before you can decide which loan to get, you need to ask yourself how long you plan to be in the house. The average homeowner moves every 7 to 10 years. If you only plan to be there for 5 to 7 years, getting a 30-year mortgage is an unnecessary waste of money. Why? Because if the 30-year loan is priced at 6.5 percent and the 5/1 ARM is priced at 5.5 percent, you’re saving yourself 1 percent per year for the first five years. And the first five years of the ARM are indistinguishable from a 30-year fixed rate loan. What I’ve done is to continue refinancing with 5/1 ARMs, and use the difference between what I would have paid with a 30-year fixed rate mortgage to prepay my existing home loan. What’s happened over five years is through prepaying my loan; I’ve managed to pay down a quarter of my mortgage. 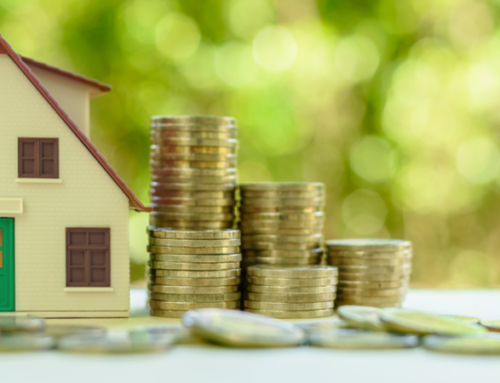 But if you’re going to be in your house for 10 to 15 years, or longer, then you may well want to consider a 10/1 ARM (which is still slightly less expensive than a 30-year mortgage) or go with a 30-year loan, especially if you are risk-averse. Interest rates are rising. While I don’t know where they will be in five years, it’s likely they will be higher than they are now. Hopefully, your income will grow. And hopefully, if you had to refinance down the line, paying 7 or 8 percent for a loan wouldn’t be a hardship. Here’s another thought: The average American has been refinancing every 18 months as interest rates have fallen over the past few years. When interest rates will rise, some of that may stop. But there will always be homeowners who need to refinance to take out equity to pay credit card debt, buy a new car, or send their kids to college. If you know now that your house will need a major overhaul in 3 or 4 years, and you will need to refinance your mortgage in order to tap the equity to pay for the renovation, you’re better off getting the 5/1 ARM — even if you plan to stay for the rest of your life. I also want to address the issue of your down payment. You’ve managed to save more than 10 percent in cash (the $50,000). I’d like you to avoid tapping your 401(k) retirement plan cash unless absolutely necessary. Whether you go with a 5/1 ARM or a 30-year fixed-rate mortgage, you’re better off borrowing more at these low rates and getting a low-down payment mortgage than tapping your retirement to enlarge your down payment. Talk to lenders about an 80/10/10, which is a loan and home equity loan that you get at the same time. You won’t pay private mortgage insurance, and you’ll be able to write off the mortgage interest you pay on the home equity loan. If you come into some cash, like through a bonus or inheritance, you can pay down the home equity loan more quickly. Good luck, and don’t forget to shop around for rates.